If you’re reading this, you are likely motivated to build a powerful email list. If you want to take your strategy to the next level but are stuck for ideas, you’ve come to the right place. 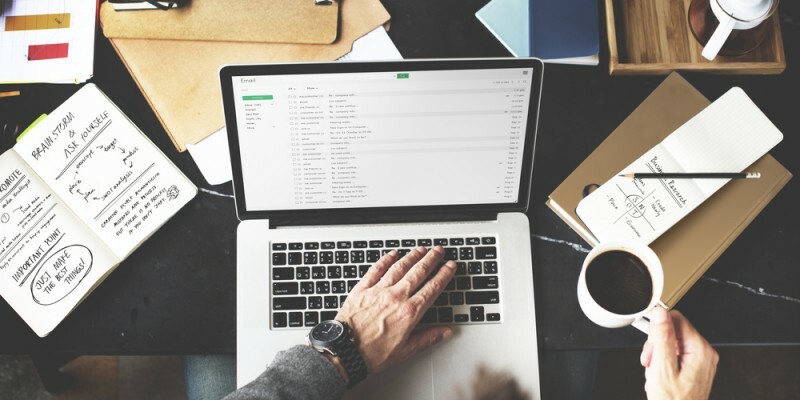 Here are nine email marketing hacks that you can put into place right away. Before you begin drafting your next email, take the time to review your process and whether it’s working as well as you would like. First, decide what you would like to accomplish, and build your email marketing campaign around these central goals. Are you using an email marketing software system? If so, are you sending out weekly, fortnightly or monthly autoresponder emails? It may take a few tweaks here and there to get the process right, but it’ll be worth it once you see how much time and effort it can save you going forward. No one will open your emails if you continue to use the same, yawn-inducing subject lines. Nothing screams “Delete me!” more than a subject that reads [insert your company name here] Weekly Newsletter. It’s neither inspiring nor compelling. Who cares whether you’re sending out another newsletter? Recipients want to know what they’re getting before opening an email, so tell them by highlighting interesting topics. Another option is to ask a question to pique the reader’s curiosity and entice them to click. Once you’ve hooked recipients in with your irresistible subject line, you need to hold their interest. One way to do this is by using well-placed humor. Put yourself in the reader’s shoes. Think about what makes you laugh and what helps you remember a print-based ad. By taking the time to be creative with your copy, you’ll stand out in the sea of marketing material we are bombarded with on a daily basis. Top tips for adding a bit of humor: keep it clean, and steer clear of contentious topics such as religion and politics. Speaking of making readers laugh, you’ll achieve this for all the wrong reasons if you fail to check for mistakes. Proofreading is an often neglected but vital step in the writing process, and can mean the difference between increased sales and readers unsubscribing en masse. With a significant increase in users accessing the Internet on mobile devices, it’s vital that emails are not tested solely on desktop computers. You also need to ensure that functionality translates across other devices including laptops, tablets and smartphones. If your messages aren’t displaying properly on all screen sizes and layouts, readers will become disengaged and your conversion rates will be affected. It’s unlikely that your email marketing strategy works in isolation. Quite the opposite, it should be one part of an integrated and coordinated marketing strategy. This means that any messaging and branding within your emails should have a similar look, style and tone to other types of content. Is your logo at the top of your newsletters and articles? Always include an inspirational quote? Do the same for your emails. This way, you start to build a consistent brand and recipients know what to expect. As well as using your email marketing strategy to help build your overall brand, you can also use it to promote other content, products and services. Have a deal that’s only valid for customers who follow you on Facebook? Let recipients know in the email body. Similarly, post to your social media accounts a coupon that can only be used once a reader subscribes to your email list (remember to post the sign-up link). Making use of all communication avenues will broaden your reach and improve your chances of gaining more subscribers and, more importantly, conversions. Remember, the goal of a successful email marketing strategy is not to achieve a high open rate. While this is a useful metric to keep track of, the open rate — as the name suggests — measures only the percentage of recipients that open the email. This does not take into account whether the recipient has clicked on links within the email itself, or have even read past the opening line. Instead of obsessing over open rates, think about the business goals that underpin the strategy and the corresponding metrics you can track. Do you want to increase sales? Grow your social media following? Share vital information? Yes, unsubscribe those people that have no interest in you or what you have to offer. Instead of hoping that someday they’ll take the plunge and click on your amazing subject line, give them the option to be removed from the email list. When they receive the email telling them as much, one of two things will happen. They’ll either ignore it — just as they have with previous emails — or they’ll respond, either by clicking on “unsubscribe” or by being persuaded to stay. Either way, you’re building an audience that wants to engage and potentially convert to paying customers. So, there you have some great ideas that you can implement straightaway. You can try all of them, or just a few to get started. Do you have any additional email marketing hacks to share? Link to them in the comments below!